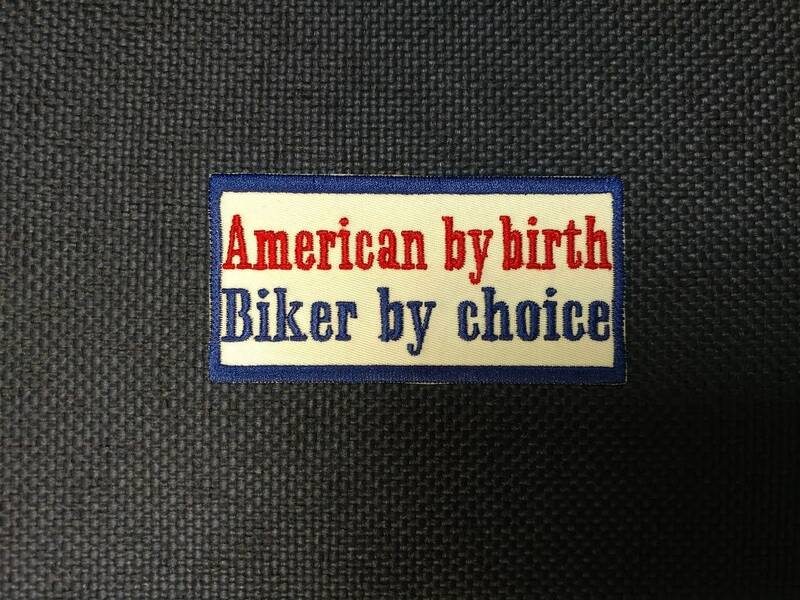 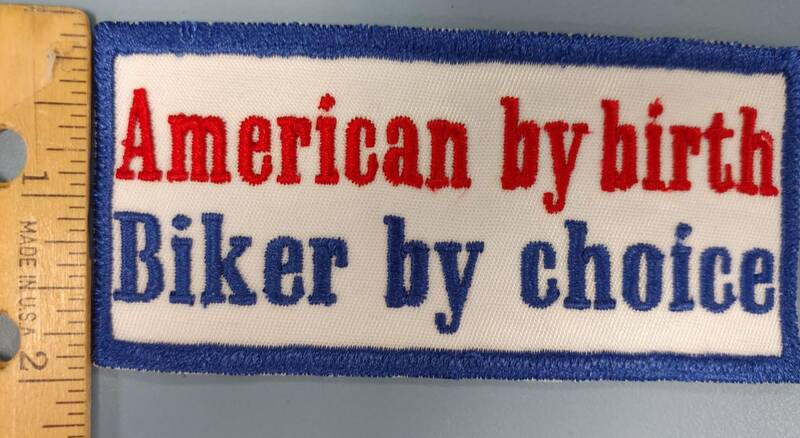 This embroidered patch measures 4"W X 2"H and says American by birth Biker by choice. 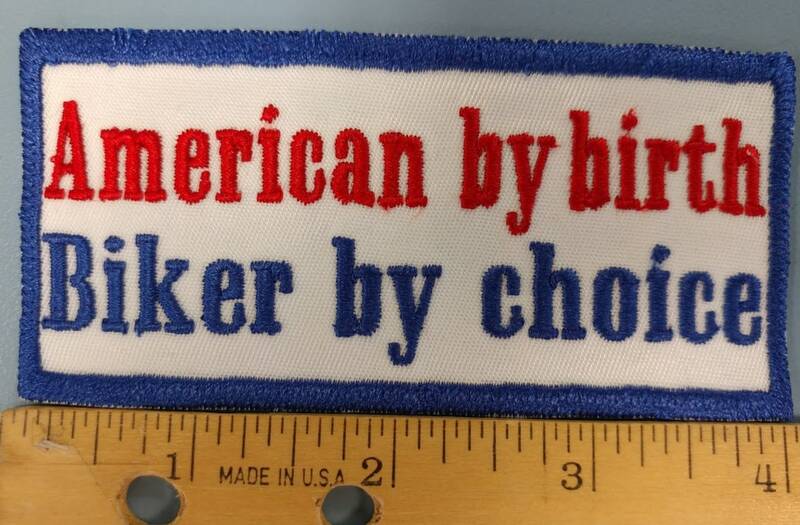 It is sewn with red and blue thread onto a white patch background. 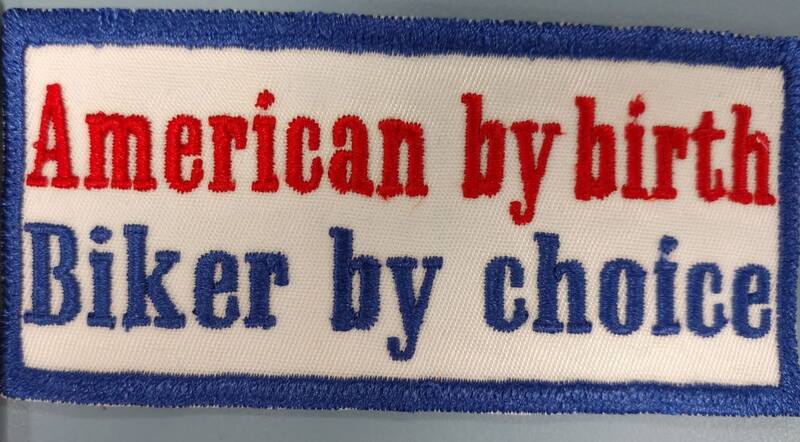 This patch would look great on your leather or denim jacket or vest.